Create animated charts and graphs for video presentations. 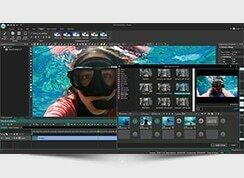 Flash-Integro, a top free multimedia software developer, launches a new version of its flagship, VSDC Free Video Editor 3.3.5. 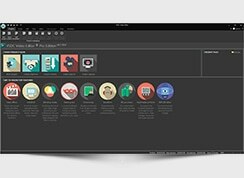 The latest release largely contributes to users’ educational and business experience adding vast diagram functionality along with a number of significant updates in other editing fields as well. 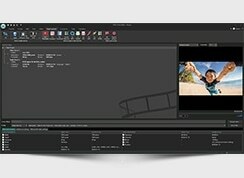 Combining multiple easy-to use features found in most popular video editors with a substantial toolkit for professional video processing, VSDC Free Video Editor now boasts to be a unique application of the kind that allows for creating and editing a wide array of diagrams, including 3D charts. 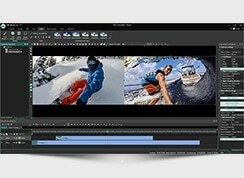 To meet customers’ demands, the new ample feature-set facilitates research and office work providing instruments for making vivid video presentations and slideshows. Having all the video processing tools and a proper chart builder in one program, there is no more need for users to turn to different apps to visualize sophisticated data in the most convenient way. Due to other enhancements implemented in the new version, VSDC Free Video Editor now delivers more audio editing options that enable users to reverse the soundtrack, modify its tempo, rate and pitch. With the aim to keep the program user-friendly and easily managed to the maximum extent possible, all the group operations have been improved, the main settings concentrated in one working area and the menu interface expanded and made more logical. 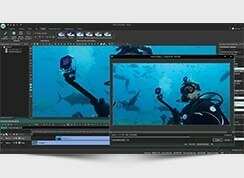 VSDC Free Video Editor is a video processing application intended for editing video files and creating videos of any complexity involving various visual and audio effects. The program offers rich functionality and yet has a simple and intuitive interface, allowing users to make video projects with a bare minimum of efforts. 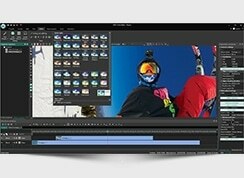 While most of editors use a predefined sequence of frames and scenes in a video, VSDC Free Video Editor can shuffle fragments and objects of the movie in an arbitrary order. The size, the position and the timeline of each object can be adjusted separately giving users the freedom they need for a video of virtually any complexity.